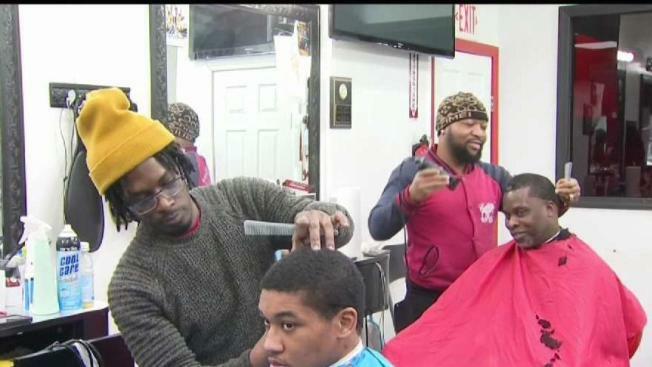 A barber in Bridgeport offered free haircuts to at-risk young men in an effort to inspire them to succeed. A local barber is making the cut hoping to use his razor-sharp skills to inspire a generation of young men and boys. Jason Donalson is a barber at the Cuttin Edge Barber Shop in Bridgeport. He has been working with at-risk youth for years, some with learning disabilities, autism and physical limitations. On Wednesday morning students from the High Road School in Wallingford stopped by for a free haircut, while learning about the trade as a potential career path. “We gotta start from the younger generation to get a better nation,” Donalson said. The school said they look forward to growing the partnership with the barber shop and hope to bring students in twice a month.